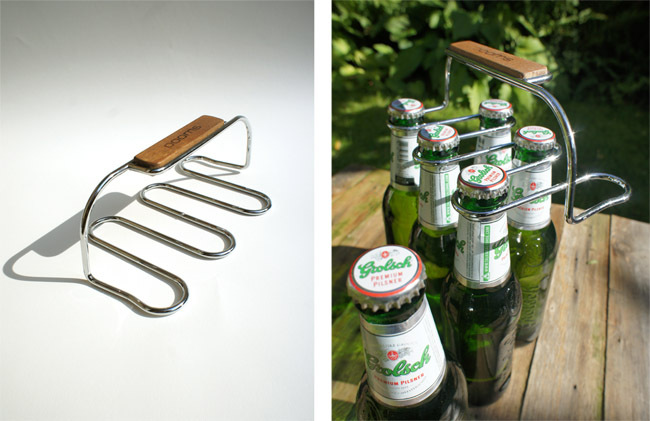 Collection of 'Unusual and Cool Beverage Drinking Gadgets' from around the globe. 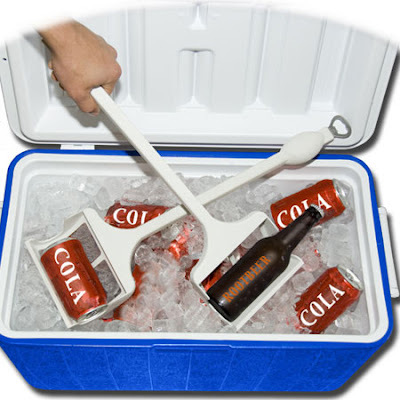 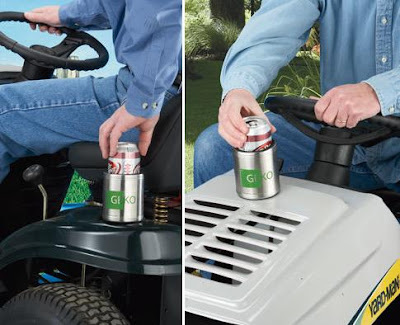 Magnetic Can Cooler: A powerful strong magnet keeps your can in place on any metal surface. Bottle Holder: Sixpack holder can hold up to six bottles for easy transportation. 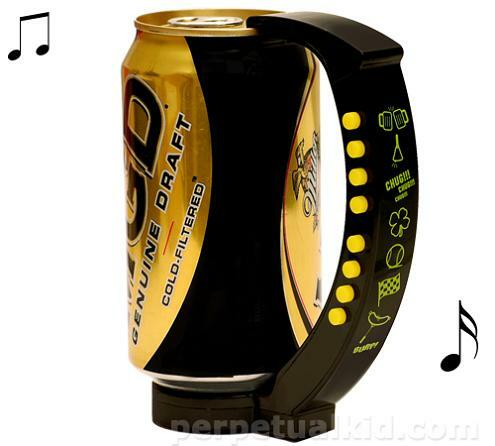 Belt Buckle: A cool way to hold your bottle or can. 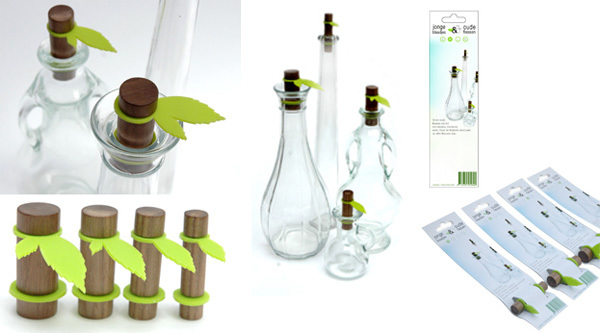 Fresh Leaves Bottle Stoppers: Cool bottle stoppers made out of rubber and wood. Roll'n Pour: Rocking beverage server lets you pour beverages from bulky and heavy bottles with ease. 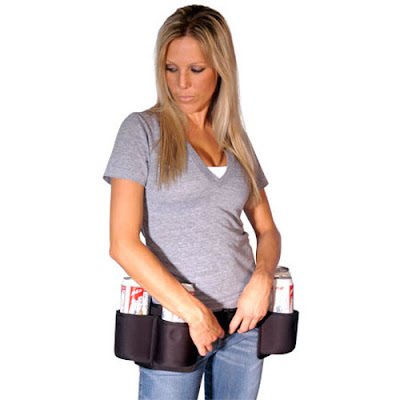 Belt Holster: Cool belt holster that allows you to have six cans on your belt. 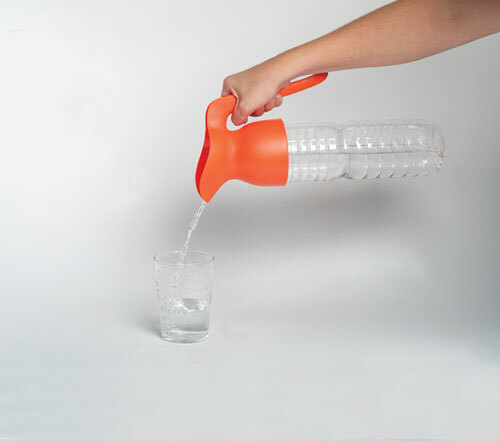 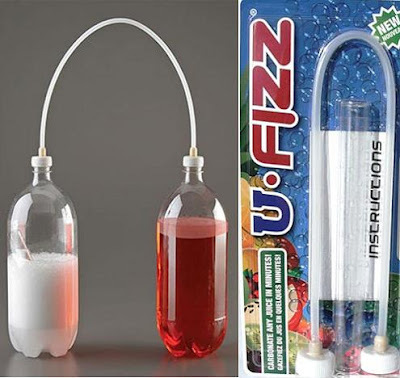 U Fizz: It carbonates any drink. 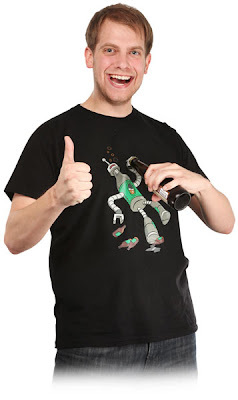 Bottle Opening Shirt: This 'Bottle Opening Shirt' lets you open your bottles with ease. 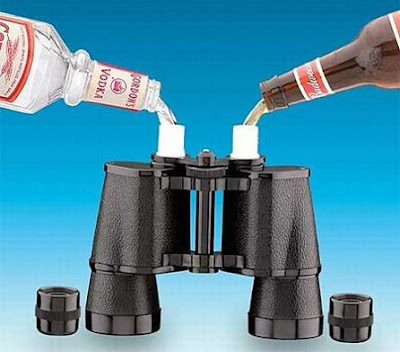 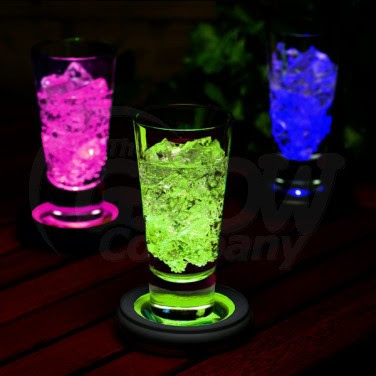 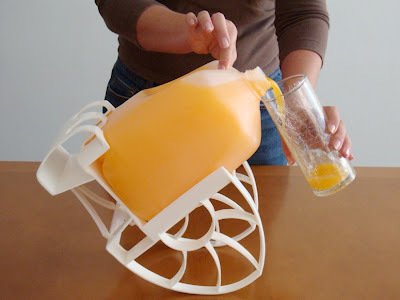 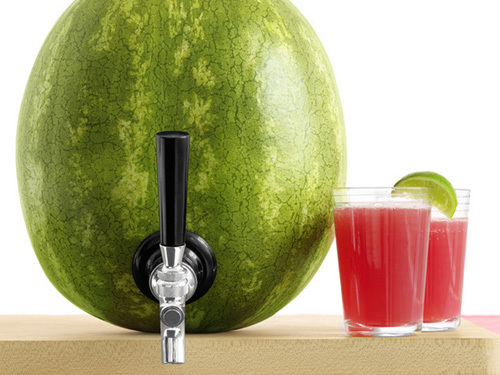 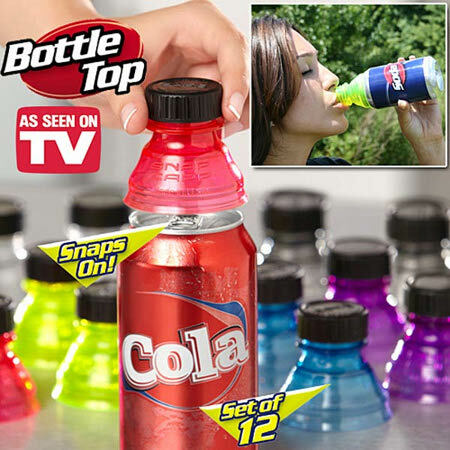 Don't miss to check out "Unusual and Cool Beverage Drinking Gadgets - Part: 1| 2."